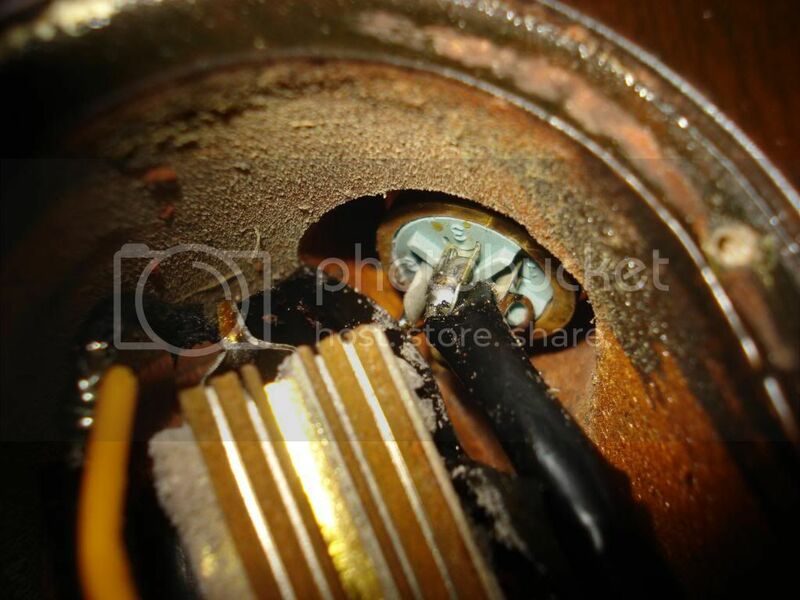 If you examine the Guitar Lead which comes with the Transformer you "should" find that it is UNBALANCED? That is what is required for an LPR. My lead is unbalanced. The goose neck microphone could be the same? I haven't seen a Personal Wiring Diagram in a long time but it might be worth investigating one? P.S. The schematic was redrawn in 1975, it does show a stereo output jack, one lead for the mic? Whats with that?? "The guitar's output jack is a regular 1/4" jack (although the LPP's is stereo so you can pluck the microphone signal off separately). The transformer's XLR connection uses only 2-conductors (signal and ground), which I think makes it an unbalanced line. Once you get the cord plugged in the correct way, you can begin to muck around with all the switches and controls." Yes, that's what I've read somewhere too! If you look at pictures of Les with his White Personal it begins to make more sense. It looks like he has a short Stereo Lead coming out of the guitar into the Paulveriser and the amp lead comes from there. The mike lead possibly went down the same cable which went to the hidden gear offstage. Why would the schematic have been updated in '75 (as it clearly shows) - the guitar went out of production in 70/71? Sorry for being a fool, but I am new to this very interesting model, as You know. If You read the manual for the transformer, it says, for low-impedance (19 to 75 Ohms) connect pins 1 and 3 on the XLR-end of the transformer. I didn't disassemble the transformer, instead I did that on the XLR end of the guitar cable. Does it make any difference, or shall I make this conversion on the transformer itself? You can only do this inside the Transformer housing using the recommended settings. (Connect ORANGE to 3 instead of YELLOW)? Do you need to do it?? If you are mainly using the guitar through an amp I would leave it alone. If you are using it with a recording desk all of the time (as I do) then it is worth doing. Hello Dave and thank You again! Everything seems to work right with this stock transformer and the modded cable (through amp). I just wanted to be extra sure. It's very unlikely that I will ever use it with a recording desk. Although, I got curious about the Laney AH100 Audio Hub which has a Low-Z input as well. Why I am still asking this, is that without the outboard transformer, the guitar was almost inaudible using the Low-Z output - which is normal. So until I got my Shure transformer I was using the High-Z output. But now, I don't feel such a huge improvement in sound quality, it's like the two outputs are completely identical now. Just one of them needs the Shure transformer(?). I think that if you plug the guitar into a mixer or a multi-track (Low Impedance) and use headphones you will be able to hear much more than you can through an amp (with or without the Transformer). The difference between the extreme settings of the Decade, Bass and Treble become MUCH more obvious. Through a Peavey Amp I was able to detect the difference between 3 and 8 easily on Low Impedance. On High Impedance and especially with a longer lead it is not so easy to detect. It becomes muddy. Remember that the Personal (Professional) has no built-in Transformer. It was always intended to be used with an external T/F at the amp end. 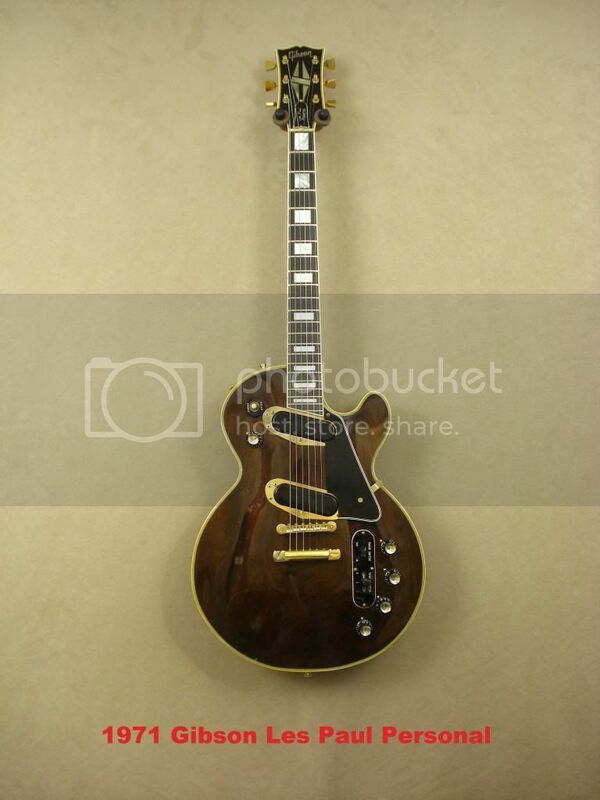 It was only because users of the Personal / Professional were losing their leads or leaving them at home that Gibson were "forced" to put the T/F in the body (switched) in the LPR. That's not the way that Les intended or used his own guitars. It's a compromise. You lose the Highs on High Impedance with longer leads. Comparing Decade 8, Bass 10 and Treble 10 on Low and High will not produce that much of a difference. It is when you vary the settings that the differences occur. Ok, it's clear now. I'll definitely try it with a mixer. Although, the different settings are quite obvious, even with the High-Z mode, I just assumed I would be able to hear further improvements with the Shure device on the Low-Z. I prefer the Decade 2,5,8 positons in mode 1 (with EQs bypassed). Thank You, - especially for Your patience with me! Your help is highly appreciated! I agree with your findings about the Decade positions. There appear to be only three MAJOR sounds - mine are on 3, 5 and 8. No I've never seen that particular artical before, but I do have the advertisement with the "Wild Eyed Guy". even the bridge & neck pickup on the guitar are the same. I noticed it in my parts catalogs from that era but have never seen it anywhere else in print. 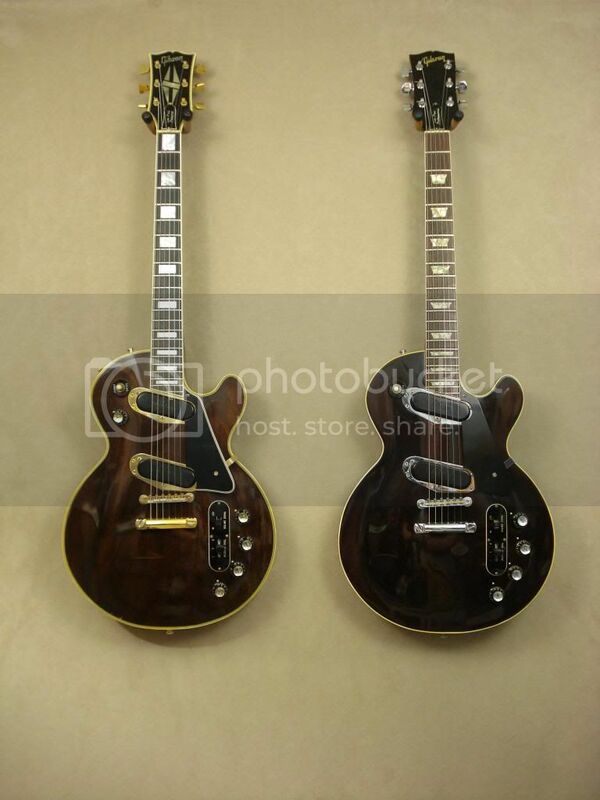 This will probably get me lynched but what do you think about the Ibanez LPR copies? 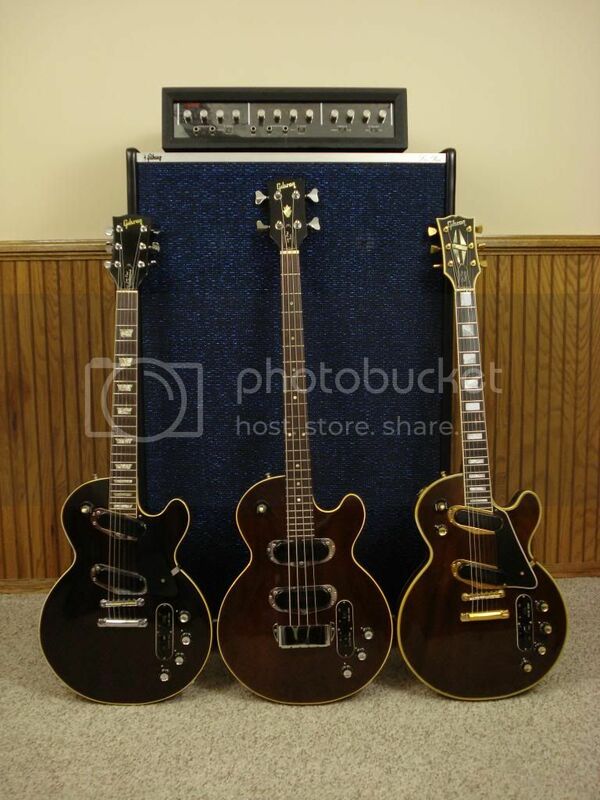 This one is of such a high quality that decades ago I declined to trade it for a real (Gibson) one after playing them both for a couple of hours in the same shop I found the Ibanez. It was in the broken and abandoned back room so I got it for just a few English pounds. Took me a while to restore it but as you can see it's perfect now. I made a pick guard out of perspex (plexiglass) using a LPR picture as a template and the tremolo arm is a strange bigsby alike I found in a junk shop. All the controls seem to do what they should and the sounds are spot on EXCEPT..
2) THE BIG SURPRISE is that the decade "switch" has ONLY 3 POSITIONS. All very noticeably different. This seems to match the comments I see about the 11 postion decade on the real ones. Anyone know anything about this? Seems like Ibanez found the same thing and made a mod ?? Just so you know, I am a Gibson fan through and through. My 1962 mint ES175D is the love of my life.